One of the great genres of any medium has been the Western. 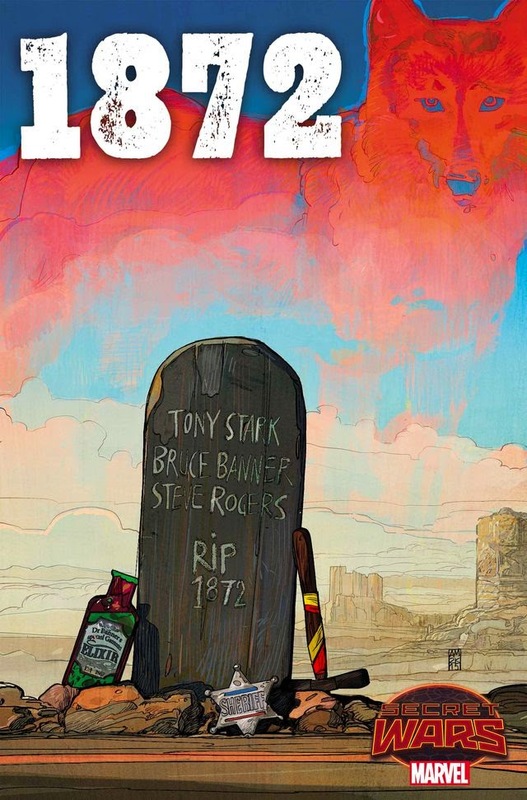 It's been a staple in radio, literature, television, movies and comics for the last hundred years. Names like Roy Rogers, Gene Autry, John Wayne, Gary Cooper, the Lone Ranger, Clint Eastwood, Tombstone, Jonah Hex, Rawhide, Bonanza, Kid Colt, Two-Gun Kid, have been cultural icons. 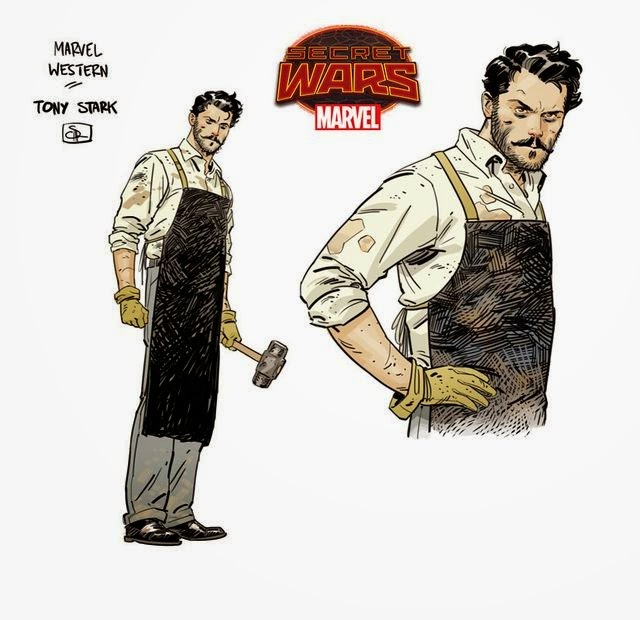 Marvel's Secret Wars event in May will give way to a special Western series featuring other well-known names like Tony Stark, Steve Rogers, and Bruce Banner. 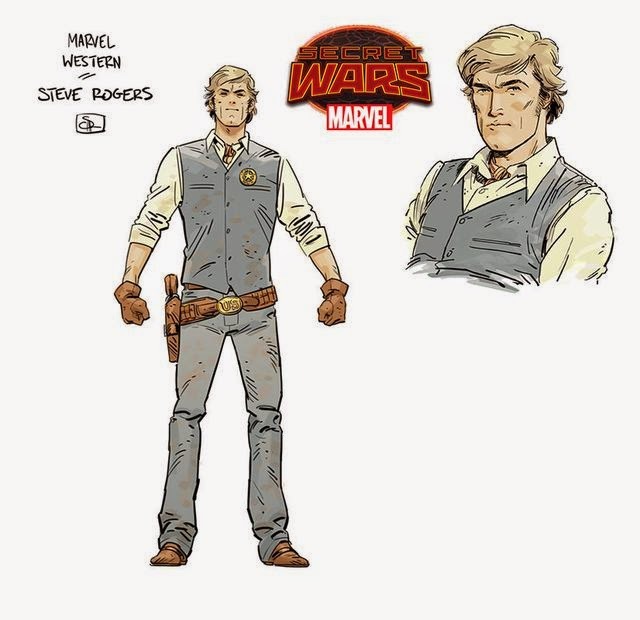 Western fan and writer Gerry Duggan with artist Evan "Doc" Shaner will reimagine the Wild West with legendary Marvel heroes. Sheriff Steve Rogers is the law in the town called Timely and has to face off with Anthony Stark and Bruce Banner. 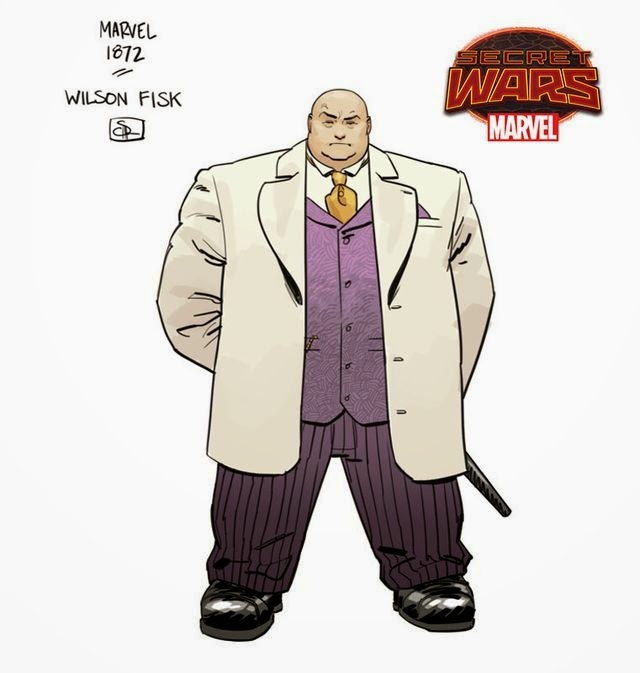 Duggan pitched the concept at Marvel's editorial retreat and the idea caught fire. Soon other creatives were lending ideas and thoughts that helped Duggan support his pitch. Editor-in-Chief Axel Alonso was on board and Duggan had an exorbitant amount of notes before writing the first outline. As far as artist was concerned Shaner was the first and only choice. 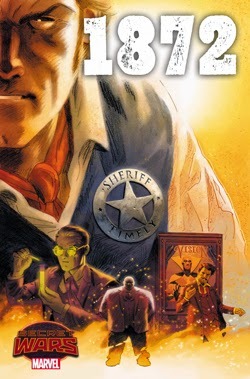 Shaner referenced many of his favorite artists who also worked in the genre at one point or another and will those influences on 1872. 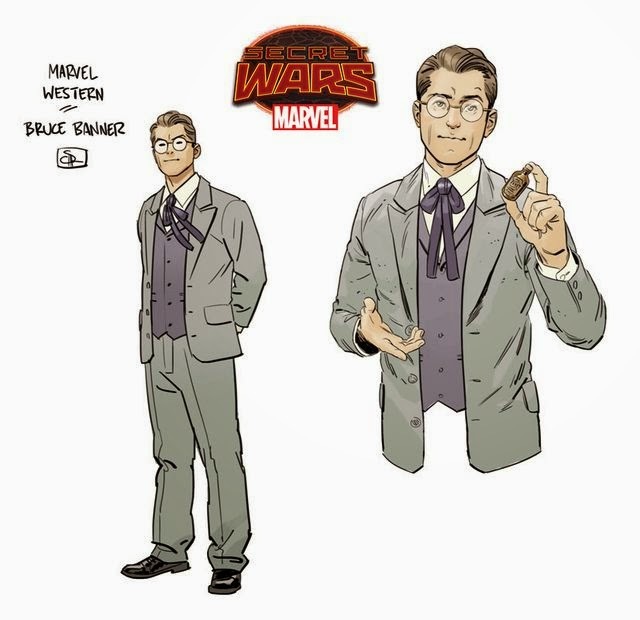 His character designs will have some correlation to the modern version but with their own distictive look that's appropriate for the era. He'll use familiar color schemes but it'll be a subtle homage.